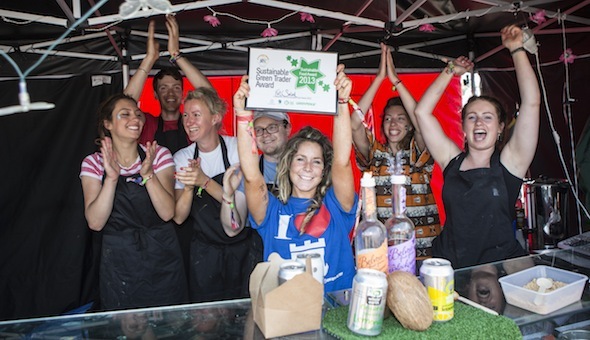 At Glastonbury 2013, a dedicated team of volunteer roamed the site asking traders about what they are doing to be clean, green and fair at Glastonbury. Energy Efficiency Award: Truly Crumptious (near Avalon Stage). And for the first time ever, we asked the public to vote on twitter for their People’s Choice Award and Love Zimbabwe (behind Williams Green) were the very happy and proud winners of that one! Thanks to everyone who voted!